Cameron Mackintosh has just announced that from Monday 22nd January 2018, David Thaxton will return to the cast of Les Miserables at the Queen's Theatre in the role of 'Javert'. 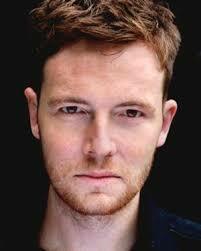 He previously played 'Javert' in 2014, and has also played the role of Enjolras. His additional theatre credits include Giorgio in "Passion" at The Donmar Warehouse, for which he won an Olivier Award for Best Actor in a Musical, Pilat' in "Jesus Christ Superstar" at the Regent's Park Theatre, Raoul in "Love Never Dies" at the Adelphi and 'Major John Howard' in "Only The Brave" at Wales Millennium Centre. David will join Olivier Award nominee Killian Donnelly as 'Jean Valjean', Carley Stenson as 'Fantine', Steven Meo as 'Thénardier', Karis Jack as 'Eponine', Jacqueline Tate as 'Madame Thénardier", Hyoie O'Grady as 'Enjolras', Paul Wilkins as 'Marius' and Charlotte Kennedy as 'Cosette'. From 22 January 2018 the full company will be: Emma Barr; Adam Bayjou; Oliver Brenin; Ciarán Bowling; Hugo Chiarella; Andy Conaghan; Killian Donnelly; Alice Ellen Wright; Sophie-May Feek; Hyoie O'Grady; Catherine Hannay; Antony Hansen; Holly-Anne Hull; James Hume; Karis Jack; Ciaran Joyce; Charlotte Kennedy; Katie Kerr; Rebecca Lafferty; Jo Loxton; John Lumsden; Anna McGarahan; Steven Meo; Jonny Purchase; Lauren Soley; Carley Stenson; Jacqueline Tate; Shaq Taylor; George Tebbutt; David Thaxton; Lee Van Geleen; Danny Whitehead and Paul Wilkins.